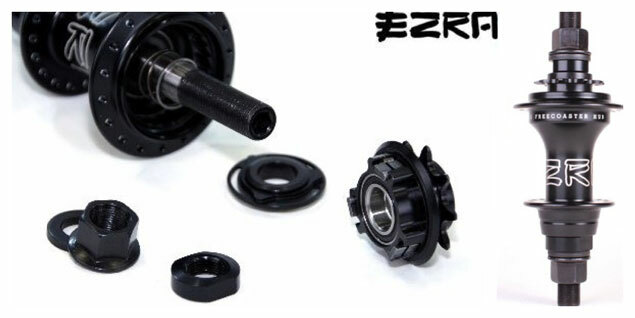 The Ezra Freecoaster has been announced a while ago and is now finally available as it seems. It's Karl Poynter's signature freecoaster and basically a combination of a cassette hub (going forwards) and a freecoaster (going backwards). The construction is supposed to be rather simple and lightweight (480g / 1.05lbs). It comes with a 9T driver and sealed bearings. A few days ago Karl posted a photo on Instagram and promised the freecoaster will be available soon. In the meantime we already saw it in a german online shop.